our livesare busy. We attend meetings, write documents and proposals, make presentations, take and make phone calls and spend hours each day writing and sending emails. 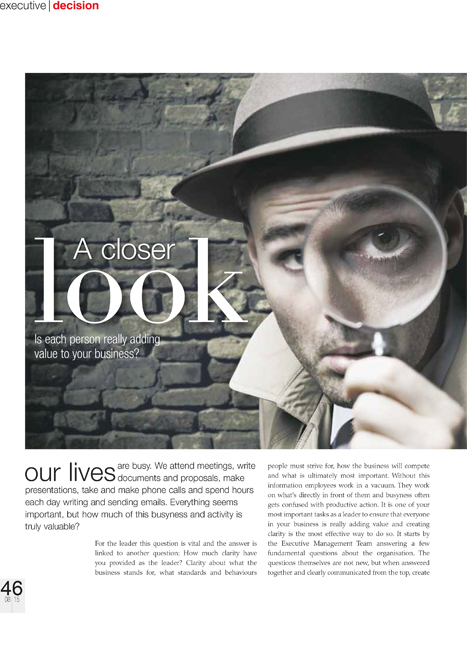 Everything seems important, but how much of this busyness and activity is truly valuable?